Total recommended period of study: approx. 9 to 12 months or less. Continuous enrolment. No time limit. It is possible to complete the course more rapidly if several lessons per month are taken. Cost: £385.00 (385 Pounds Sterling) - for currency conversion see www.xe.com ) Extra costs & shipping may apply for some non-EU countries - see apply page for details. The tuition fee does not include the required textbooks. Distance learning: Textbook study. Written assignments based on textbooks and exercises. Assignment questions are issued by email and students return their written work by email. Grades and feedback are issued by email. Students may incorporate techniques learned into their private practice and Unit 11 will involve presentation of case studies. Although this course requires 10 books (see list below), most well-qualified hypnotherapists will have some of them already thus reducing the outlay on textbooks considerably. Also (see Syllabus below) applicants who have a qualification from a well-recognised UK hypnosis training school may gain exemption from two units. This is a course for experienced and qualified hypnotherapists who work with, or would like to study, in-depth techniques of hypnoanalysis and related techniques. A similar Advanced Diploma in Transpersonal Hypnotherapy is available for those interested in spiritual hypnosis. The basic idea of analytical hypnotherapy is to gently uncover information about a problem, usually in the client’s past, which can then be worked with in various ways in order to relieve the necessity for the problem to persist. Analytical hypnotherapy is often not covered extensively in modern live hypnotherapy training courses due to time constrictions and because "evidence-based" techniques are favoured. If you are a practitioner fascinated by the possibilities of hypnoanalysis and would like to learn about it in depth, or to upgrade your previous training in the subject and find out how much more there is to know, this course is for you. No previous knowledge of psychoanalysis, Freud or psychodynamics is assumed as necessary concepts will be introduced as part of the relevant modules. The emphasis will be on what concepts are still useful and meaningful today. Many script examples are given which you can tailor to your specific needs until you are confident at working script-free. Please note that this course does not concentrate on past life regression (i.e. regression to a previous incarnation) though this topic is briefly introduced, and if you would like to study past life therapy in depth, we have a separate Advanced Diploma in Transpersonal Hypnosis as well as a Diploma in Regression Therapy. * Most students who have qualified as hypnotherapists via accredited or highly recognised training courses will receive exemption from these two modules. This syllabus may change at any time for course upgrading. Applicants must normally be qualified and experienced hypnotherapists and members of a professional hypnotherapy association. If you do not meet this requirement and are interested you are invited to contact us with details of your background so we can advise you accordingly. 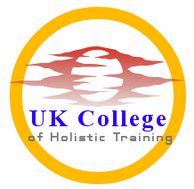 Successful graduates will receive the Advanced Diploma in Analytical Hypnotherapy awarded by UK College of Holistic Training which is a private UK qualification. The course is accredited by the ACCPH, Accredited Counsellors, Coaches, Psychotherapists and Hypnotherapists. Please note that this course is not a qualification in psychotherapy, psychiatry or psychoanalysis. It is offered for educational purposes only. The alternative title "Advanced Diploma in Hypnoanalysis" can be given if you practise in an area that does not allow you to use the term "Hypnotherapy", or if you prefer the alternative title. Kahn, Michael. Basic Freud: Psychoanalytic Thought for the Twenty First Century. Basic Books, 2002. Elman, Dave. Hypnotherapy. Glendale, CA: Westwood Publishing Co., 1964. Morison, Jacquelyne. Creative Analytical Hypnotherapy. Jacquelyne Morison Publishing, 2016. Churchill, Randal. Become the Dream: The Transforming Power of Hypnotic Dreamwork. Santa Rosa, CA: Transforming Press, 2nd edition, 2010. Churchill, Randal. Regression Hypnotherapy: Transcripts of Transformation, Volume I. Santa Rosa, California: Transforming Press, 2002. Yapko, Michael D. Treating Depression with Hypnosis: Integrating Cognitive-Behavioral and Strategic Approaches. Brunner-Routledge, 2001. Hunter, Marlene E. Understanding Dissociative Disorders: A Guide for Family Physicians and Health Care Professionals. Wales, UK: Crown House Publishing Ltd. 2004. Watts, Terence. Hypnosis: Advanced Techniques of Hypnotherapy and Hypnoanalysis. Eagan, MN: Network 3000 Publishing, 2005. Hunter, Roy. Hypnosis for Inner Conflict Resolution: Introducing Parts Therapy. Bancyfelin, Carmarthen, Wales: Crown House Publishing Ltd., 2005.